The Beverage Air WTR60AHC worktop refrigerator has a removable 4-inch backsplash that keeps messes contained to the top. Made of aluminum, the cabinet resists rusting and holds product on four epoxy-coated steel shelves. Two doors provide access to the cabinet through their stay-open design and self-closing feature. 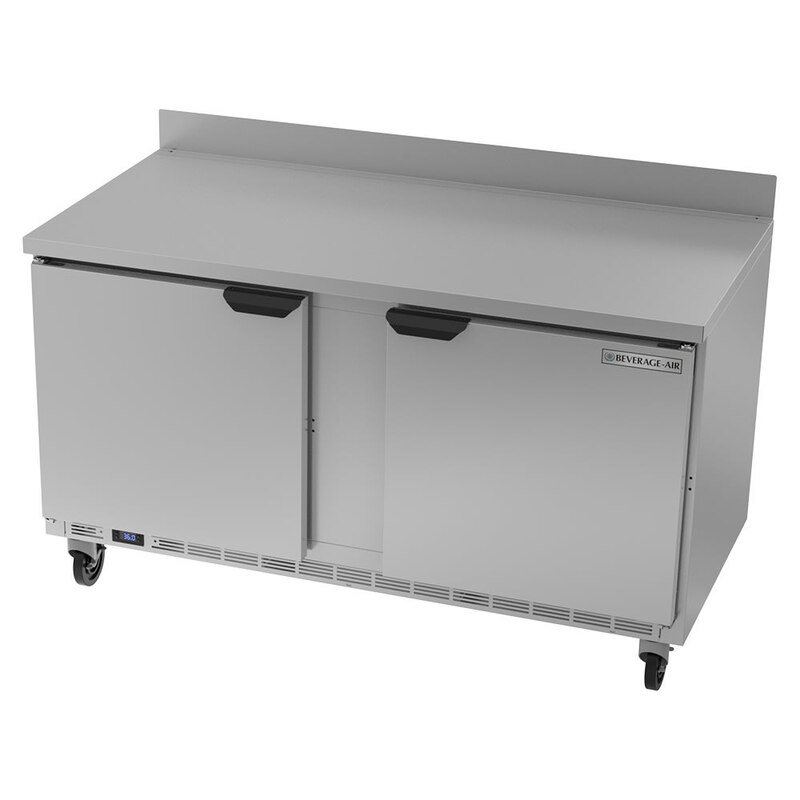 The Beverage Air WTR60AHC worktop refrigerator keeps temperatures between 36 and 38 degrees Fahrenheit and includes an interior thermometer so that staff can monitor the unit. 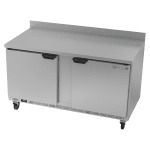 The worktop refrigerators buyers' guide provides in-depth information on worktop refrigerators.